The makers of Jotun, an indie game which was released earlier this month on console platforms, have announced a new H.P. 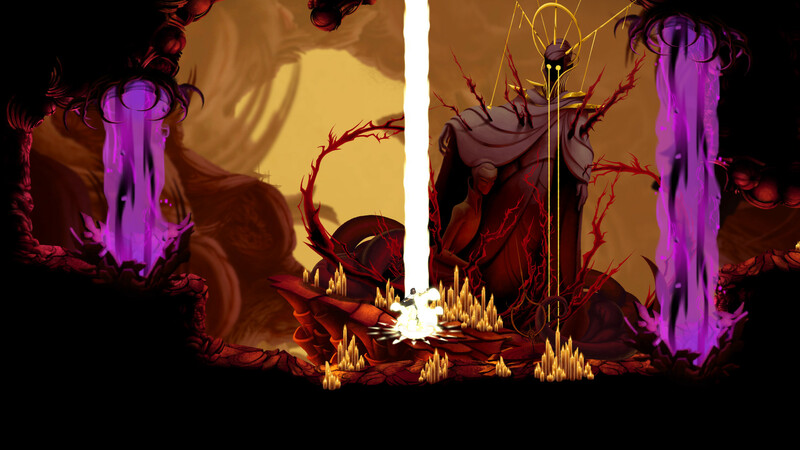 Lovecraft inspired indie title by the name of Sundered. Thunder Lotus Games have described Sundered as a procedurally generated metroidvania that features a gorgeous hand drawn art style. In the game, you’ll play as Eshe, a lone explorer in a cavernous world full of ruin and horror. You’ll fight against “hordes of enemies” through roguelike caves using various relics that give you abilities that compromise your humanity.The developers have said that Sundered will also have “massive boss fights”, multiple endings and “infinite replayability”. Sundered is a single player experience that will be coming out in 2017 for the PS4 and PC. Check out Sundered on Steam.